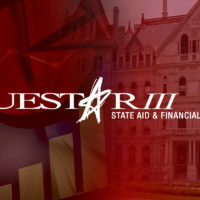 The RSE-TASC Part II (Regional Special Education Technical Assistance Support Center) is a program contracted through Questar III in collaboration with the NYS Office of Special Education. It is part of a statewide network of resource centers designed to provide essential information, technical assistance and professional development to schools and school districts in Columbia, Rensselaer and Green counties who are designated for assistance by NYSED and the Office of Special Education and/or Special Education Quality Assurance (SEQA). The RSE-TASC is the home of the Special Education School Improvement Specialists (SESIS) who work collaboratively with the Questar III School Improvement Department, RTTT Network Teams, NYMetroCenter-Technical Assistance Center-Disproportionality and the RSE-TASC Part I, housed at Capital Region BOCES, to support designated schools in improving student performance, as identified through meeting Annual Yearly Performance objectives, and State and Federal accountability requirements as identified in IDEA 2004 and State Performance Indicators. Professional Development may be delivered in Regional, BOCES region, School District, School Building, Faculty, Department, and Professional Learning Communities or a combination of the above, based on school district and building level of need as identified in the Capital District-North Country RSE-TASC regional service plan. In addition, SESIS provide information and technical assistance to the Committee on Special Education (CSE) Chairperson’s and Pupil Personnel/Special Education directors through the CSE ListServ and/or monthly CSE Chairpersons meetings. The center is funded by the State Education Department P12- Office of Special Education (OSE).